Worked in Federal and State Valuation Departments for 5 years and registered as a qualified professional valuer since 1983. 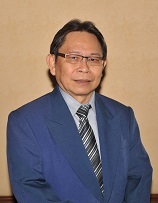 Joined the Group since 1984 and in charge of valuation works of all types of properties and property consultancy works in Sabah office. He is currently the chairman of the JS Group of Companies.